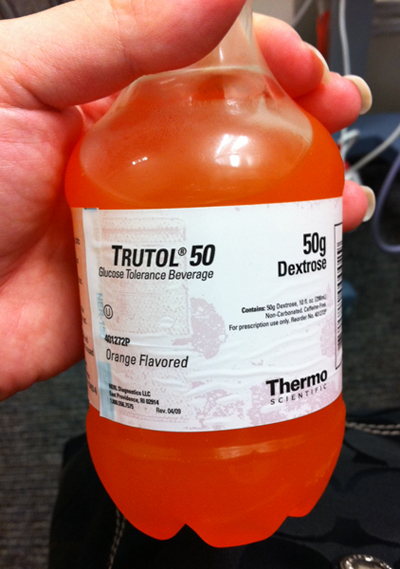 So today I was lucky enough to go and take my glucose test. And really the drink wasn't as bad as I remembered it to be. So I chugged it down as fast as I could and we were out the door to tick off the minutes until my hour was up. Here's to hoping I don't flunk the 1 hr test and have to take the 3 hr one. So we went downtown and did a little more shopping. Yes, one of these day's Lloyd is going to shoot me when he sees the pile o' baby clothes. Here is Jentry at his last soccer game. It was a really GOOD GAME too. He made an awesome save which helped the team score a goal! He did great this season and next year we have decided we are going to send him to soccer camp. Give him some more tips and tricks! And this is just a random photo I took of Brinley after church this past Sunday. I find I don't get many pictures of her all "dolled up". So this is the only one that really turned out as most of you have already heard the lighting in my OLD house is terrible. So here ya go. And how cute is Brinley?! What a doll!!! And soon you will have TWO little girls to make all cute! I prefer to think of them as "self esteem builders" rather than excuses. It makes us both feel better so it has to be good ;p . I would hate to be the kid in front of Jentry, he looks like he was on a mission. I wish Jeremy looked like that when he played instead of doing the chicken dance in the goal box, Oh well. It's over!!! It's gotta feel nice not having to worry about getting to games and keeping the kids up late and dealing with cranky kids!!! CUTE pictures, esp. Brinley. I have a dr. that gives jellybeans instead of the icky drink. Way better! Hope you passed!